The Levi Parsons Library, forerunner to the present Gloversville Free Library, was founded in 1880 through Judge Parsons' donation matched by local pledges. This library was incorporated under the laws of New York State on June 15, 1880, and a year's membership could be secured for $2. The orginial quarters, in the Wood Block on South Main Street were inadequate for library use and Lucius N. Littauer offered rooms in his block on South Main Street, rent free for one year. The Library moved to the block, and remained there until 1905. The board of directors consisted of the president of the village, the principal of the public school and the pastors of the six churches in Gloversville and Johnstown as ex-officio members with twelve additional directors elected to carry out the various duties. The board adopted a constitution and by-laws, and hired professional librarian, Adolph Peck. A printed catalog of books was issued , and the library was opened to the public during the afternoons and evenings. 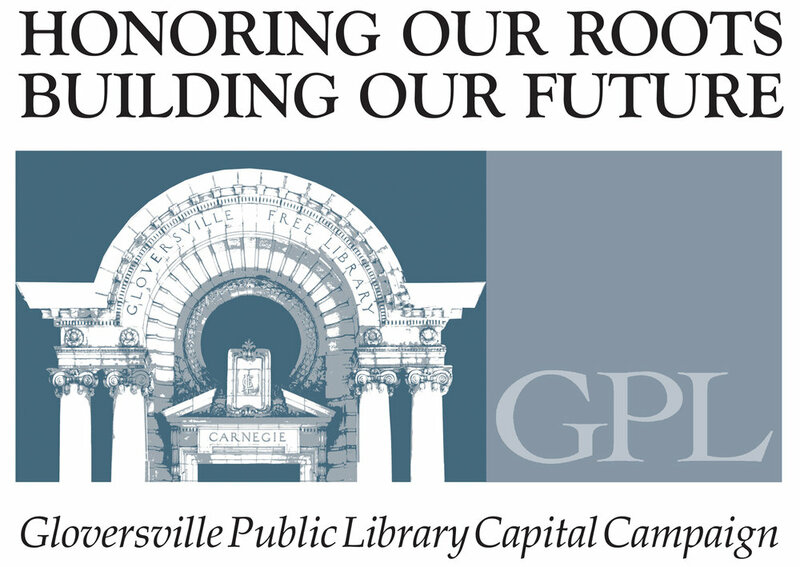 In 1902, Andrew Carnegie gave the library $50,000 for the construction of a building with the provision that the City of Gloversville should contribute annually to its support. The building was opened in December of 1905. In 1911, the city discontinued its appropriation, and in 1912 arrangements were made for the ownership of the building to be transferred to the City of Gloversville and the right of perpetual use assured to the Library Association as long as it was conducted as a free library. The building has three floors and consists of a central body with two large wings. The basement houses storage, the boiler room, Friends of the Library storage, a staff lounge and a meeting room for the Mineral Club of Fulton County. The Adult Department, Reference Room, Children's Department, and Reading Room are located on the main floor. The second floor contains the Friends' meeting room, Director's and Technical Services offices, Carnegie Room for meetings and musical programs, and Historical Reference Room. For nearly 100 years the City of Gloversville funded more than half of the Gloversville Free Library’s annual budget. But in 2002 the City began a drastic reduction of its annual support, and in 2004 appropriated just $5000. The Board of Trustees was faced with the challenge of finding a reliable source of operating income in order to preserve public library services for the community. In 2004, the Gloversville Free Library experienced a financial crisis when the City of Gloversville was no longer able to provide funding to the Library above the 1911 contractual amount of $5,000. The Trustees of the Gloversville Free Library, after much research, proceeded with a campaign to establish the Gloversville Public Library as a School District Public Library, to publicly elect Trustees, and to raise funds through an annual tax that would be paid by the property owners within the Gloversville Enlarged School District. This effort involved community members in an educational and advocacy campaign. The proposition passed on June 14th, 2005 with the election of seven trustees and a tax levy of $198,200. This amount can never be reduced unless the Board of Trustees presents a new proposition to reduce or eliminate the levy. Any increases in the appropriation must be approved by the voters of the school district. Thus began a new phase in the history of Gloversville’s library.